The 1951 Arts Act established the Arts Council and charged it with stimulating public interest; with promoting knowledge, appreciation and practice; and with assisting in improving standards in the arts. It is a voluntary body of 12 members and a chair, appointed by the Minister for Arts, Heritage and the Gaeltacht for a term of five years. The ongoing work of the Arts Council is delivered by the executive. In addition to the Director, a staff of 41 full-time equivalents carries out the daily functions of the organisation. Arts advisers, who provide additional expertise and strategic advice on different aspects of the arts, are retained on a consultancy basis. The 1973 Arts Act developed that role, particularly by increasing public access and engagement. The 2003 Arts Act reiterated the three key purposes of the Arts Council and re-calibrated the relationship between it and Government. It underlined the autonomy of the Council as the expert body for funding the arts, steering their development, and offering advice on arts and cultural matters. Its mission is to promote and develop the arts in Ireland. It does this by: Supporting artists to make work of excellence; Enabling people to experience the arts; Working with partners and stakeholders; Advising and advocating. strategy for the arts in 2015. The Arts Council’s current Strategic Statement 2013 continues to guide the work and policies of the Arts Council. An interview in the Irish Times last year of Sheila Pratschke, Arts Council chairperson, suggests an awareness of a need to change though cynics may find the language suspiciously lacking in passion or innovation . “We need to conceive of our activities in a different way. We can’t keep shrinking to fit the budget. We have to be more imaginative and proactive. I would say that all of us in the arts sector have been talking to each other too much. We need to turn outwards, towards the citizen and the taxpayers, be more conscious of audiences and families”. Most of the companies and organisations who receive funding are urban-based, with more than 80 in Dublin city and county, 15 in Galway city, 17 in Cork city and nine in Limerick. Most smaller arts organisations get funding through their local county council. Funding for national cultural institutions. such as the National Museum and the National Library, is allocated separately and directly by the Department of Arts. The Oireachtas grant to the Arts Council in 1980 was £3m, latterly supplemented by lottery funding and steadily increased from £5.8million in 1986 to £16m by 1995. In 2000, it was €59m with increased staff levels and administration costs. In 2004 it was €55m. An Bord Snip Nua proposed in 2009 that “substantial reductions in expenditure on arts and culture were warranted given the large increases in recent years”. Reflecting this philistinism, between 2008 and 2011 the Arts Council lost 20 staff , down from 65 to 45. In 2010 the funding had been €68m but by 2014 it was down to €56m. In 2015 for the first time in six years the Council did not suffer a cut in funding, most organisations have received similar amounts to 2014 from the council which is being allocated €56.7 million. In a typically artistically promiscuous and tiring statement the council said it was “mindful in its allocations to help position the arts to benefit from, and play a full part in, the national recovery”. There is a sense that funding is awarded to the same old faces. When cuts were implemented it tended to be on the smaller, more precarious operations. Sheila Pratschke recognises this. “We give 80% in recurring funding and 20% in non-recurring funding. I’m sure the strategic review is going to challenge us with that almost autopilot recurring funding”. For 2015, the Abbey Theatre gets €6.2 million, a decrease of €300,000 on last year, after recording a profit of over €700,000 for 2013 and a likely profit for 2014. The Gate’s funding is €860,000, down from €908,000 in 2014. The theatre made a profit of €34,464 in 2012 and abridged accounts show a surplus for 2013. Most of the major companies and organisations will be satisfied with their funding offers. Druid Theatre maintained its allocation of €762,000. Project Arts Centre in Dublin retained €649,000 and Macnas saw a cut from €228,000 in 2014 to €207,766 this year. Opera Theatre Company saw an increase from €640,000 to €680,000. Rough Magic has taken a cut, down to €480,000 from €511,000 previously. Nearly all festivals saw their offers remain at the same level for 2015. Galway Arts Festival has been given €490,000; Kilkenny Arts Festival has been offered €390,000; and the Tiger Dublin Fringe has got €340,000. Dublin Theatre Festival has benefited from a rare increase, up from €766,000 in 2014 to €810,000 in 2015. Wexford Festival Opera also saw its allocation rise by €20,000 to €1.42 million for 2015. Every local authority in the State, along with Ealaín na Gaeltachta, will receive funding directly from the Arts Council, a combined total of €2 million. Many will also receive further support through the funding of local authority-owned venues, with funding to all venues for 2015 totalling €4.9 million. 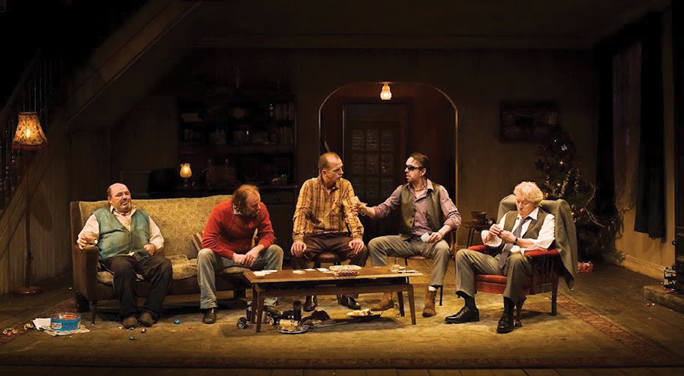 While many of the organisations offered funding will bring their work ‘on the road’ over the course of the year, the Arts Council will also invest an additional €1.25 million in touring in 2015. This will see some 500 extra performances, exhibitions and arts events being brought to 1 million people across the entire island of Ireland. Throughout the year, the Arts Council will make further investment in the arts, including bursaries for individual artists, projects and awards. The Aosdána cnuas has been maintained at last year’s level of €17,180 per annum. It has been Council policy to keep Lilliput Press, New Island, Gallery Press, Dedalus and Salmon on substantial grant-aid since the 1980s. Gallery, Dedalus and Salmon exclusively publish poetry, largely by the rarefied members of Aosdána. The O’Brien Press which has a 40 year-track record in imaginative publishing will have its annual grant slashed this year, by 84% from €63,000 to €10,000, under the new Title-by-Title Scheme introduced in 2012. The Arts Council is now funding individual titles instead of the publisher as a whole. Orlaith McBride told RTÉ that this is being done to create more opportunities for literary publishers. Michael O’Brien said the change will affect the publishing of indigenous children’s books as well as titles under its literary fiction imprint, Brandon. Several Irish authors have written to the Arts Council asking that the cut in funds be reconsidered. Funding under this scheme is decided on by an independent panel, not by the Arts Council itself. Ms McBride said perhaps tellingly that the council is currently in “strategy mode” and that a full review of its operations is expected to be concluded by the summer. There is a perception that discrepancies in grant allocations are the norm, particularly for smaller organisations. There is no complaint procedure except to the Council as Big Brother. Complainers are not encouraged. Those who benefit from funding keep their mouths shut. The Council ‘deals’ with well over 200,000 people across the arts spectrum. Discrepancies in funding are the Council’s method for controlling individuals and groups who petition them for grants. The problem is most insidious at the county council level where counties get lump sums even though they are also receiving separate festival, arts-centre and theatre-company grants. Unsurprisingly, specific problems surface regularly. Last summer, singer Patricia Flynn was due to get the €16,500 ‘Deis’ grant for folk and traditional singing initiatives. However, following an internal review launched amid concerns of a conflict of interest it was not paid. The singer’s son Paul Flynn is head of traditional arts at the Arts Council. While he was not involved in approving the grant, he contributed to the selection of the panel that did. The grant was to be put towards the creation of a multimedia archive. Then-Arts Minister, Jimmy Deenihan, said at the time that the chairwoman of the Arts Council, Sheila Pratschke, had undertaken to “review issues of conflict of interest to ensure that there would not be a recurrence”. The Council often comes under political pressure. In 2012, Director Orlaith McBride was forwarded a letter via Deenihan from Brendan Howlin, on Department of Public Expenditure and Reform headed note paper on behalf of Bui Bolg Productions. McBride replied perfectly properly to Howlin: “It is with regret that the grant to Bui Bolg was reduced but this is due to the level of the Arts Council’s cumulative funding reductions over the last number of years”. In 2014 Bui Bolg was successful under another Arts Council funding head, the only ‘street arts’ organisation to receive ‘annual funding’. Howlin would’ve been pleased. In 2013 the Arts Council Music Network Recording Scheme which provides support for performers and composers working primarily in non-commercial genres. The scheme is open to musicians of all genres who are of Irish nationality or resident in Ireland. But in fact it was represented by a small panel taken only from representatives of the contemporary and classical, not for example the pop, worlds. Worse still, one of the panel members, Kate Ellis, was directly linked to three of the nine successful applicants, Crash Ensemble (of which she is actually co-artistic director), Judith Ring and Yurodny Ensemble. Sharon Rollston, CEO of Music Network and another of the panel members explained: “Where there is a conflict of interest, of course, the panel member states their interest and absents themselves from the room, as is the normal practice in adjudication panels”. The issue is not a personal one, and concerns optics rather than propriety. It illuminates the fact there is a structural problem with the panel composition, particularly in a small world like that of Ireland’s serious music. In October 2012, then-Minister Deenihan announced a set of reforms for the 12 organisations that are funded by his department. Board members of certain major institutions would operate on a pro bono basis ie unpaid. Board positions were advertised stating that they were ‘pro bono’ positions. One of those advertisements included positions at the Arts Council. Subsequently, Fianna Fáil’s Seán O’Fearghail asked Minister Heather Humphreys: “Have things changed? Are the members of the Arts Council being remunerated? Is their remuneration in addition to expenses they are being paid, if they are being paid expenses? If this has happened, was there any public announcement of the change of position by the Department of Arts, Heritage and the Gaeltacht, or is it something that has happened quietly behind the scenes?”. But as so often with this government reform was illusory. Humphreys replied, “Members of the Arts Council are being remunerated because new members get the same as the old members. If we want to change that, the legislation must change”. This is neither credible nor true. Clearly new members could volunteer at the time of application not to take a stipend. The current director, Orlaith McBride, has a ‘basic salary’, according to a 2012 report, of €85,539 compared to the average bursary to individuals of €6,000, or and Cnuas-recipient Aosdanaí of €17, 180. McBride once told the Irish Times ‘Style’ section that she did her annual “big shop” in New York. Arts Council administration comes at too high a price. Unrestricted and unstipulated grants to arts institutions also involve a large percentage spent on administration costs, particularly salaries to the ‘Directors’. The Gate received €860,000 while its grandee Director, Michael Colgan, was snaffling a salary of €200,000. The Royal Hibernian Academy, whose eminences have contributed at least two family members to the staff of the Arts Council, received €383,100 in 2012 and shells out a six-figure salary to its Director Patrick T Murphy (former Arts Council chairman). Poetry Ireland received a grant of €370,000 in 2012, basically for printing a quarterly newsletter for its members and a bi-annual partisan magazine entitled Poetry Ireland Review. Maureen Kennelly, director of Poetry Ireland has a fulltime staff of six with a board of ten. Then there is Aosdána, a self-designed group which garners a yearly haul for its 160-odd (the term is apposite) members who see themselves as above others who have to apply for bursaries competitively. Bursaries are not granted perpetually to the same individual, and are far less than the annual amount paid to Aosdána members. Since its founding in the 1980s under the hooded watch of Charles Haughey, the primary function of Aosdána has been to ensure its membership continues siphoning off the cnuas, a yearly hand-out of €17,180 to the self-elected members. In 2013, the Arts Council had its budget slashed by a quarter while Aosdána’s 150+ members, politically better got, and in receipt of the prized €17,180, suffered no reduction in their hand-out. There has developed a symbiosis over the years between the Arts Council and certain members of Aosdána such as the administrators of publishing houses Gallery, Dedalus and Salmon, including Peter Fallon, John F Deane, Pat Boran and Jessie Lendennie. These poets publish themselves with the benefit of Arts Council subsidies. They do not have to make a profit or even sell very many copies. As early as 2000, Fallon’s Gallery was in receipt of €118,000 while in 2012 he received €161,000 and in 2015 will take home €150,000. Fallon and Gallery have grossed well over €2m in grants over the years. Salmon received as much as €38,000 in 2000, €41,500 in 2012 and will get €40,750 in 2015. Dedalus received €42,000 in 2000, €85,000 in 2012 and will get €77,500 in 2015. Of course, there is nothing improper in any of this. There is much goodwill for the arts in Ireland but this translated, a generation ago, into an indulgence of top-heavy administration and a lack of seriousness of artistic purpose. The clearest incarnation of this is the Abbey Theatre, exposed by and international evaluation panel in 2013 as simply not showing enough world-class theatre. Arts administration in Ireland, led by the Arts Council, needs a cold shower. Previous article Decriminalise outdoor prostitution. Next article Duping our ‘cherished’ 16-year-olds .